He was born in 1985 in a small town in rural southern germany and soon moved to Stuttgart, the worldʼs cradle of the automobile and Germanyʼs ʻMotor Cityʼ (w. Mercedes, Porsche, Bosch headquarters). Hence, his best known artist moniker ʻMCDEʼ obviously is a reference as well to his home-town as to his first love in music, the Soul, Jazz and Techno sounds of Detroit. The ʻDrum Ensembleʼ is a link to his collection of classic drum machines, technical backbone of his accomplished and renowned electronic music. Danilo Plessow was always incredibly young at taking up things: He started playing drums at the tender age of six and discovered his love for jazz in the school big band. From eleven, he started working on his own original productions using a computer and samples. Being influenced by Jazz, Soul, Funk, Hip Hop and House, the first complete results were already released five years later (2000) on Stuttgartʼs ʻPulver Recordsʼ under his House and Broken Beat project ʻInverse Cinematicsʼ: Seven 12 inch records (ʻSlow Swingʼ and ʻDetroit Jazzinʼ among others), an album (ʻPassinʼ Throughʼ) and many remixes and compilation appearances followed, and the project gathered fans like Gilles Peterson and Rainer Trueby, with whom Danilo would collaborate later on. 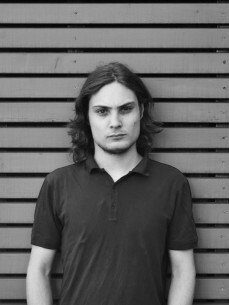 After several other co-operations and solo projects in the Nujazz vein, Danilo went back to his House music roots founding ʻMotor City Drum Ensembleʼ (MCDE). In 2008 he exploded into the House scene with five releases: The now legendary ʻRawCutsʼ series on his own MCDE-label ploughed a new furrow through the often derivative Deep House genre with their own warm crackly thump that defines the enjoyable, winning sound of the ʻRaw Cutsʼ aesthetic. Till today, all three singles of the cult series feature within the top 6 of Juno Records all time top selling single charts and undoubtedly they are still belonging to the most played tracks on the dance-floors. With his challenging remix work Danilo never ceased to amaze: Great tracks for luminaries like Caribou, DJ Sprinkles, Jazzanova, Tiga, Zero7 or recently Midlandʼs ʻWhat we knowʼ prove that few artists tie together a traditionalist sensibility with an amazing innovation as well as MCDE does. So it's quite obvious why - despite his youth- he ranks among the Top 10 all-time charted artists on RA. With his buoyant remix of NUfrequencyʼs ʻFallen Heroʼ heʼs even on top of the all-time charted tracks on Resident Advisorʼs DJ charts. a great ear for melodies, Danilo Plessow now shows off his broad-reaching tastes and mixing chops, which made him a mainstay of the contemporary Deep House scene.